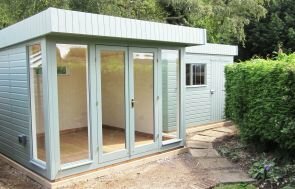 At 3.0 x 3.6m, this will give the customer plenty of room to set up their garden office to create a comfortable and productive space. 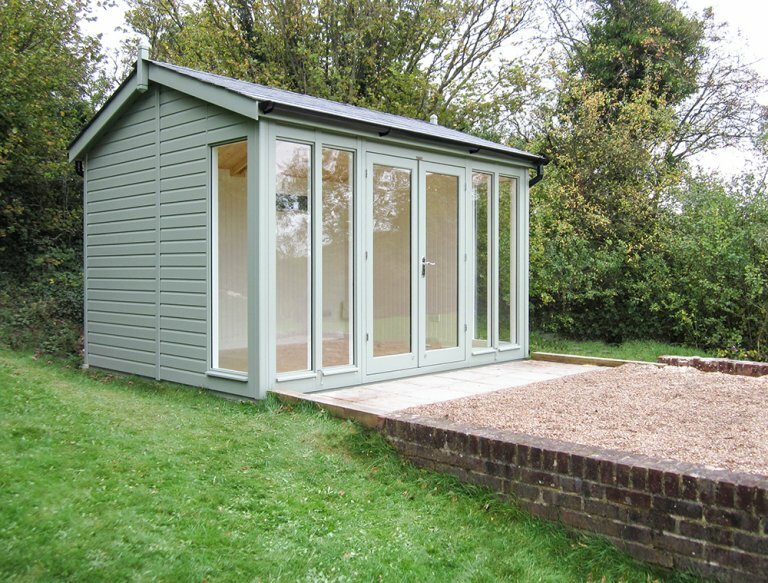 Year-round use is essential to our customer, which is why they chose from our Garden Studio range: all our studios come with full insulation, double glazed windows, matchboard lining (in either natural or painted finish), and draught excluders in the doors and windows. To provide light, heat and power, the customer also chose our electric pack to create the ultimate year-round usage building. 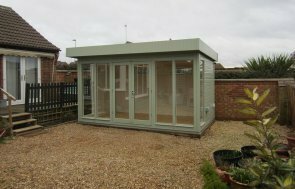 Aesthetically, the customer has chosen colours that will allow the building to blend in with the surrounding natural colours of their garden. 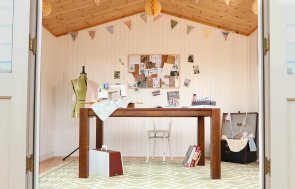 On the roof, there are grey slate effect tiles, and it has been framed with black guttering, and the paint colour chosen for the studio is Lizard, which is a natural green colour from our Valtti paint range.